This book examines in detail the special relationship of letterforms and type styles to logotypes. This is a topic that has grown in importance since the introduction of desktop publishing, because new computer technology and graphics software have created a greater public awareness of and access to the application of fonts and letterforms. Intended for graphic design professionals and students, "Logotypes and Letterforms" is a useful reference on the process of type formation as it applies to logotype development. The book illustrates the development of logotypes for specific industries which have common characteristics and displays a wide selection of hand-lettered logotypes, corporate alphabets, and scripts, with an analysis of each and their relation to typeforms. Wherever possible, fonts are shown next to logotypes as an immediate frame of reference, and many are shown in various stages of development to demonstrate their evolution. Each chapter is prefaced with a 1500-2000 word essay by a preeminent professional discussing the role of logotypes in their particular field. 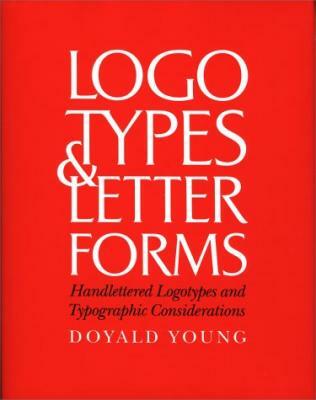 "Logotypes and letterforms" covers all major fields of logotype design, including academia, corporate, entertainment, hotels and resorts, cosmetics, and product names.